Connected retail experiences are driving the future of shopping. Here’s how to take advantage of current trends and tech to get ahead. As data becomes an increasingly important aspect of our lives, retailers are creating highly connected experiences. Having access to detailed data allows stores to make better suggestions, improve the buyer journey and leave customers more satisfied overall. 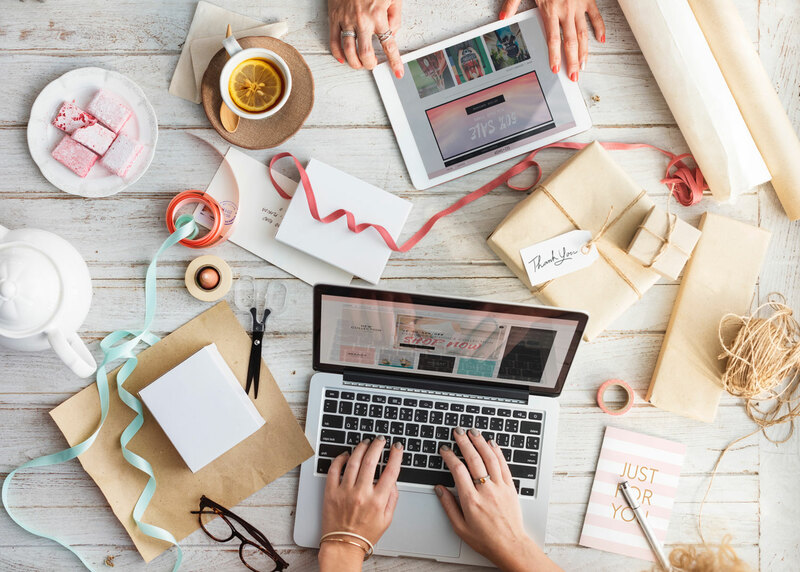 Here’s a look at some of the current data-driven trends across the retail market plus those we expect to see in the near future. Access to customer data is making it easier than ever for retail stores to provide personalized customer experiences. Bridging the gap between online and retail customer experiences is the biggest trend driving retail today, Information Age editor Nicholas Ismail writes. 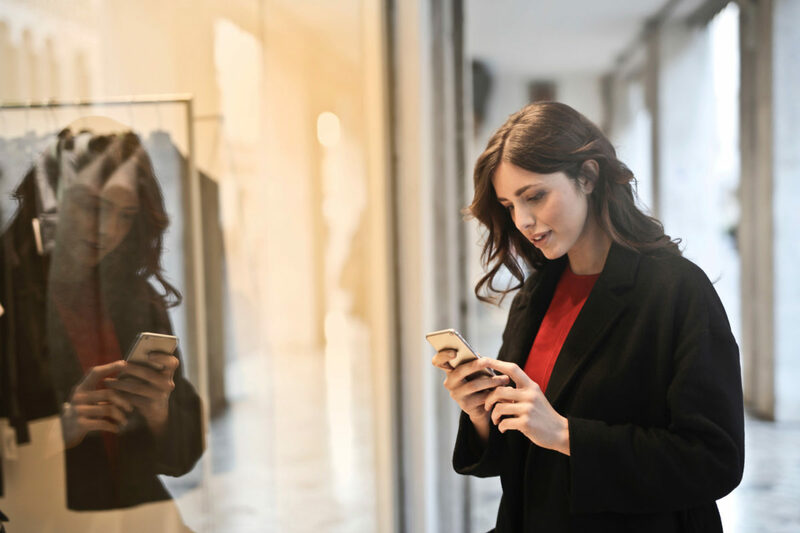 Data gleaned both from online and in-store experiences will be used in an omnichannel way to create a seamless experience across every customer interaction. One company leading the way in this category is The Children’s Place, Jamie Grill-Goodman at RIS News says. The retail store is targeting its core customer, the digitally savvy millennial mom, providing personalized recommendations on demand. By leveraging behavioral history — including when, where and how customers shop — The Children’s Place sends triggered emails and tailored promotions that give customers more of what they want to see. Similarly, IBM Watson is using AI to deliver more accurate customer recommendations. The company’s cognitive computing tool uses information provided by the customer and compares it with the past purchase histories of similar customers to provide hyper specific product recommendations. Daniel Faggella, founder of AI market research platform Emerj, explains that cognitive computing helps North Face use details like location and gender preference to suggest products and boost conversions. Enspire Commerce president Jim Barnes agrees that the demand for digital retail personalization is exploding in the industry today. One of the most popular strategies he mentions includes promoting wish lists online. This enables more customized remarketing and re-engagement, which in turn converts more customers. Leveraging valuable customer data in physical stores, such as that gleaned from wishlists and other online behaviors, still remains to be explored further. This is because most current personalization tactics use a person’s behavior to suggest products that people with similar behavior have also purchased. This is different than truly understanding what a person needs and wants, journalist Dan Tynan explains at Adweek. He says that many brands struggle to truly bridge the gap between the offline and online experience. However, some makeup brands are leading the way with facial recognition software that allows companies to recognize a person when they look into the store’s mirror or upload a selfie, then pull up their browsing history, purchase behavior and unique physical traits to make product suggestions. One main tool pioneering this revolution is called Revieve, an intelligent software tool currently used by beauty brands like Beauty Bridge and Biodelly. Users can upload a selfie via Facebook messenger, the company’s website or even in the store. In addition to using past purchase behavior — and the behavior of similar customers — Revieve gives tailored personal advice. Analyzing a person’s complexion, eye color, face shape and overall beauty concerns, it uses dermatologist-backed science and product recommendations to support a person’s unique skin and beauty needs. Facenote is another platform using this strategy, albeit for a shoe brand. At Melissa Shoes USA in Miami, Florida, this facial recognition software is being piloted for the first time. Founder and CEO Eduardo Rivara says that when a person approaches the store, they’re invited to be officially recognized and put into the retailer’s data system. After sharing their name and a selfie with the company via SMS or Instagram, the person’s photo is integrated with the store’s CMS system and linked with any of their past behavior. Now when that person comes into the store, their history and current needs can help provide a more well-rounded, personalized buying experience. Voice search will likely increase in consumable products, according to Charlie Cole, global chief ecommerce officer at Samsonite. Ordering at restaurants, grocery shopping and buying household essentials at Target, for example, will become significantly more efficient with voice assistants in the coming years. Some brands have even partnered with voice search companies to make their brand names and brand-related requests more recognizable to voice search tools. Starbucks, Best Buy and Walmart have all enabled their apps to speak directly to Alexa, Marin Software Marketing SVP Wesley MacLaggan writes. If someone says “Alexa, tell Starbucks to place my usual order,” Alexa can pull the customer’s order information from the Starbucks app to provide a convenient, on-demand experience. Major fashion brands are also taking advantage of voice search, marketing specialist Kate Schoof adds. Calvin Klein partnered with Amazon Fashion for the 2017 holiday season, leveraging the company’s Echo devices to provide a more immersive customer experience. The voice search tools were implemented in lounge areas and fitting rooms so that customers could ask questions about the clothes they were trying on. They could also conduct searches on any topic of their choice and play music to personalize the experience further. Microsites are another way that retailers are applying data to create more powerful online and in-person experiences. HubSpot senior marketing manager Lindsay Kolowich points to the example of Bolthouse Farms’ microsite, UrWhatUPost.com. This was one of the first natural food microsites to directly engage customers on social media with their daily consuming and shopping choices. By drawing attention to the conversations people were having about healthy versus unhealthy food on social media, Bolthouse Farms effectively drew attention to their own brand online — and inspiring more people to choose their brand in the store. Some retail stores are also establishing microsites that help capture unique data for more personalized experiences. Retail Info System executive editor Tim Denman points to Sephora as one of the best examples of this. Sephora has an assisted self-service strategy that lets shoppers explore the brand’s offerings, and virtually try on makeup and compare different shades and styles. This takes the retail store experience a step further because customers have access to shades that might not be in a store near them — and it helps them become more confident in making a choice the next time they are shopping in person. While many brands struggle to truly unite data collection and implementation across the digital and in-store experiences, connected retail stores offer a solution. Fashion writer Karin Eldor says one of the biggest benefits of pop-ups is they create an element of surprise and encourage people to stop, take a look and shop. Since pop-ups already have the advantage of creating buzz and generating foot traffic, they provide an excellent opportunity to thrill shoppers and collect a unique set of data points that can inform both digital and online experiences. But how can pop-up shops actually collect — and take advantage of — such data? Education reporter Olivia Krauth points to an Emagispace-powered pop-up solution engineered by Barrows Global and Samsung. 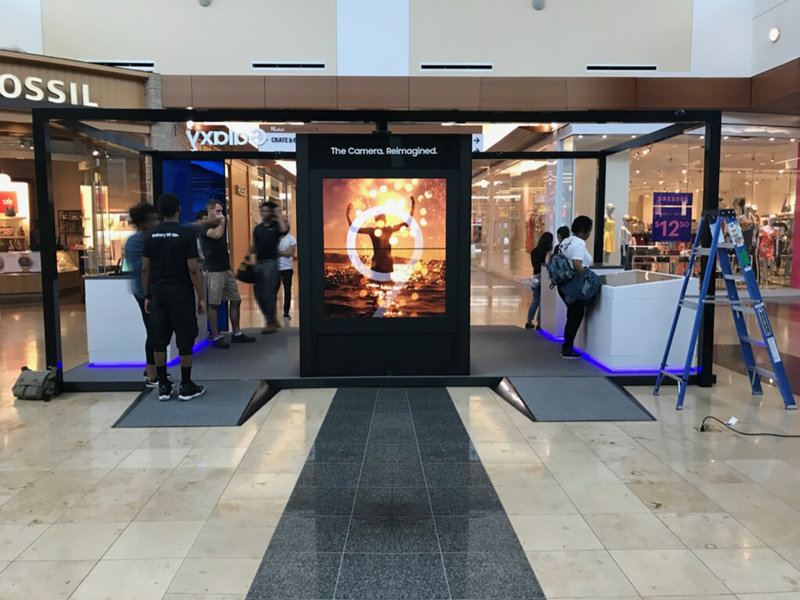 This turn-key, connected pop-up shop is available to businesses in the retail market. It uses sensors and connected devices, embedded in EmagiBlock® modular walls, to track physical behaviors in-store. The popup provides retailers with information on where customers spend time and how long they stay. This solution helps address retail challenges regarding omnichannel data collection, Pop-Up Go founder Linda Farha says. In addition to providing more tailored recommendations, the data can help improve layout and product displays, assist with more efficient in-store staff scheduling and create a model that boosts better decision-making overall. Moreover, these data points can be used in real-time because they can trigger certain actions, business writer Craig Guillot explains. When someone spends over a minute standing in front of a single shoe display, for example, this action can prompt a nearby screen to show content related to that shoe. Since data collected from the Samsung pop-up is instantly available, it enables retail owners to make decisions more quickly and efficiently, thereby boosting their in-store competitive edge. If you’re not yet keen on using AI to empower and conduct transactions, it’s probably time to take another look. It’s being deployed at scale now and by 2020, will be key to the future of retail, with 85 percent of all transactions AI based, Global Chair for KPMG consumer markets Willy Kruh writes.